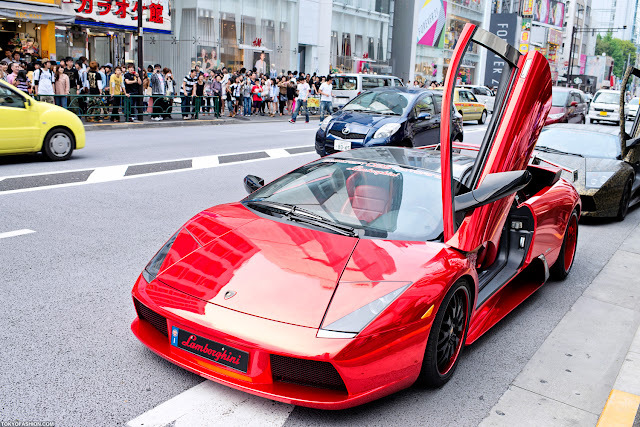 小龍女の Fan Girl 世界: Four Lambourghini's in Harajuku! 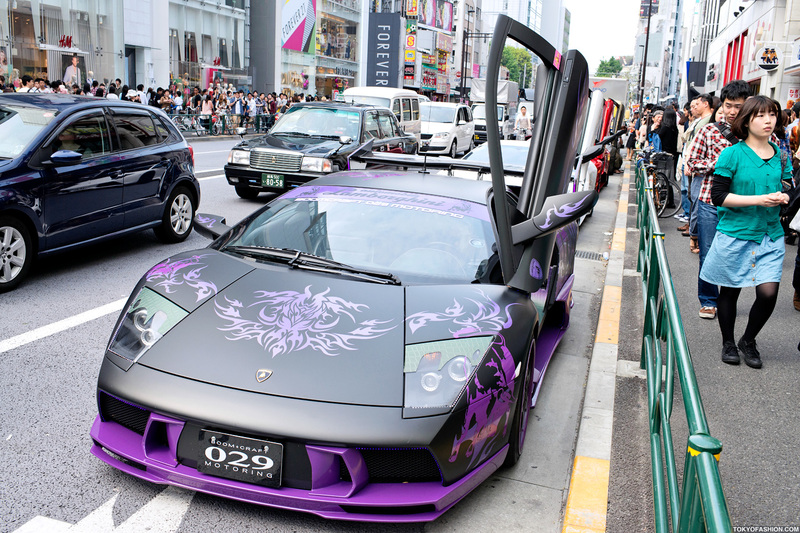 Today in Harajuku: four Lamborghini's stopped on the street near LaForet. Cool purple & black Lamborghini on the street in Harajuku. 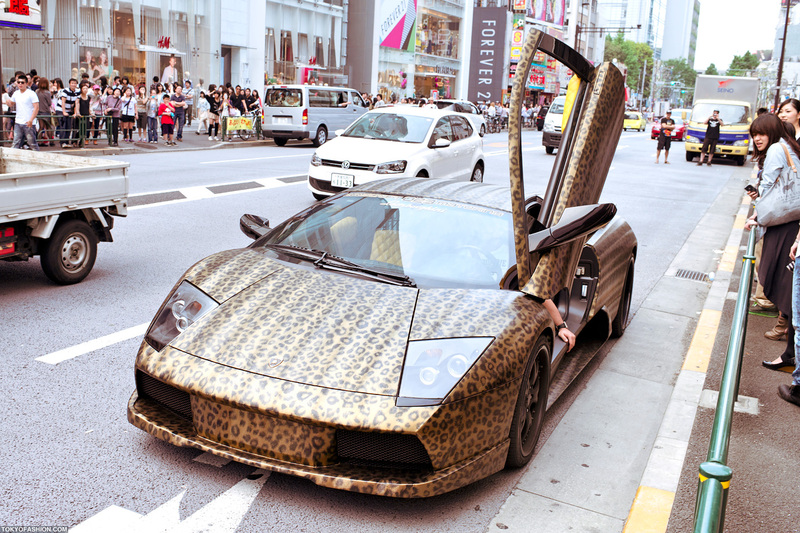 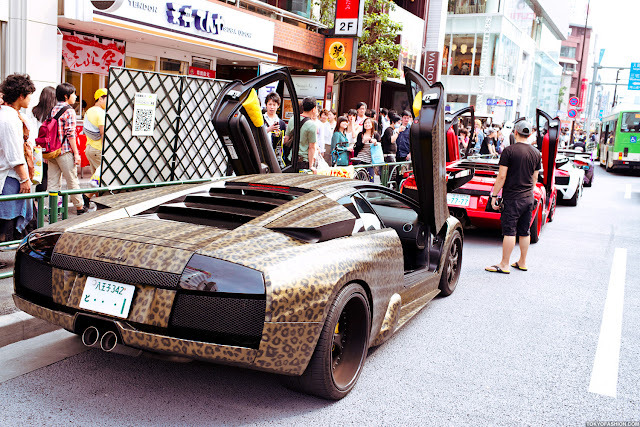 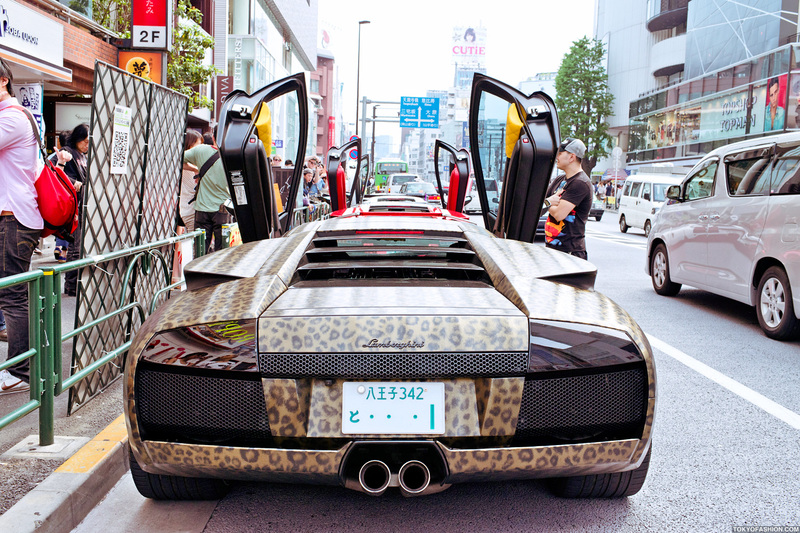 Side view the of the leopard print Lamborghini in Harajuku.